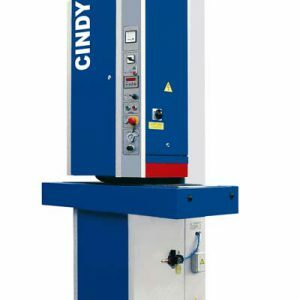 The disc brake stops the machine instantly when abnormal motion occurs. 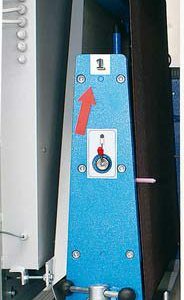 It provides a safety guard in case of belt miss-tracking, belt breaking, or when the body activated emergency stop bar is touched. 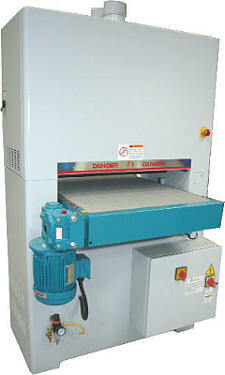 The 2 step feed speed of the conveyor belt allows the sander to work on various wood materials. 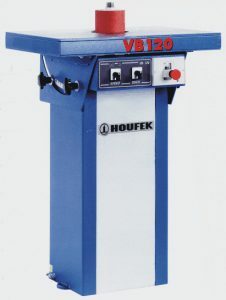 This sander is equipped with a thickness vernier scale for accurate reading of conveyor table opening when making thickness adjustment. 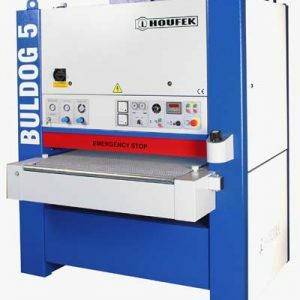 All machine controls are centralised in a control panel for convenient operations. Push buttons are clearly identified. 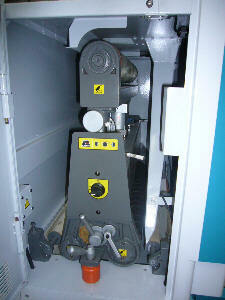 A load meter is also on the control panel, showing the percentage of full load on the sanding head. 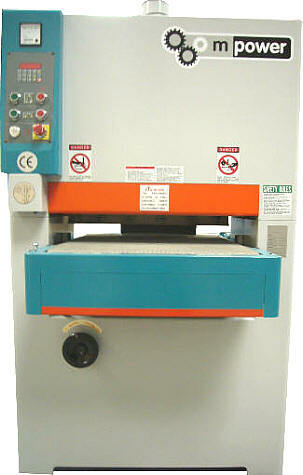 The sanding belt’s oscillation is controlled by dust proof air eye. 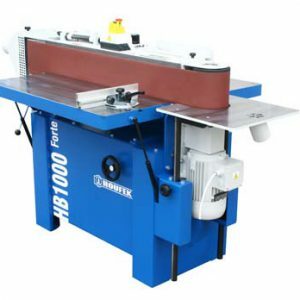 The sanding belt can oscillate if there is a power failure. 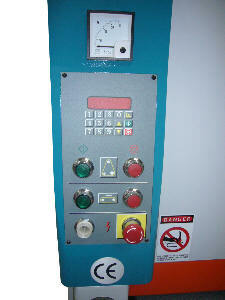 The oscillation range of the sanding belt is 15-20 mm. The reverse and cross sanding on the panel creates a better clarity of grain. 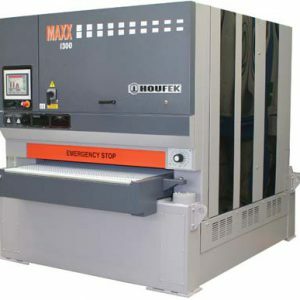 Thus greatly extending the service life of the sanding belt.